I write columns in The Dallas Morning News. I type on twitter every day. 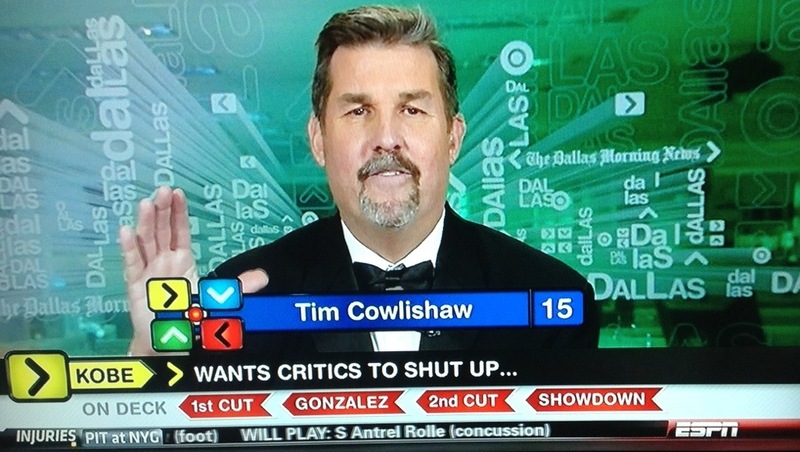 I talk on ESPN more than I need to. So what the hell am I doing here? Well, sometimes I have the need to weigh in on a subject that doesn’t feel quite right in the Morning News or fit snugly into twitter. The greatness of Sterling Archer, Boyd Crowder and Sweet Dee Reynolds come to mind and, hell, that’s just FX. Oh and also I may try to promote my future best-seller from time to time. It’s called “Drunk on Sports” and it’s about me and drinking and Dallas sports and drinking and the newspaper business and ESPN and drinking. It also needs a publisher and it’s unfinished because I can’t remember everything because I used to do a lot of drinking. But I stopped drinking in 2009. So now I just type. I hope that’s a good thing. Tom Bailey here. What I read so far is pretty interesting. Sounds like a good book. It is good to be able to be alive to tell this story. But most importantly you have learned your lession. Keep up the good work! I can really relate to this………..good luck. Is this book only avaliable on the kindle? I want to buy this book hard cover.